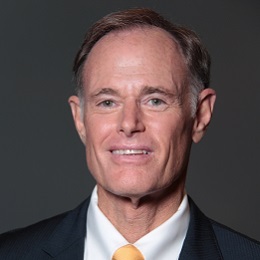 Dr. David Perlmutter is a board-certified neurologist and Fellow of the American College of Nutrition. He received his MD degree from the University of Miami School of Medicine, where he was awarded the Leonard G. Rowntree Research Award. He has published extensively in peer-reviewed scientific journals, including JAMA Neurology, Neurosurgery, and the Journal of Applied Nutrition, and he is a frequent lecturer at symposia sponsored by such medical institutions as Columbia University, Scripps Institute, New York University, and Harvard University. He serves as an associate professor at the University of Miami Miller School of Medicine. Dr. Perlmutter has been interviewed on many nationally syndicated television programs, including 20/20, Larry King Live, CNN, Fox News, Fox and Friends, the Today Show, Oprah, the Dr. Oz Show, and the CBS Early Show. He is the recipient of the Linus Pauling Award for his innovative approaches to neurological disorders. He is also the recipient of the 2006 National Nutritional Foods Association Clinician of the Year Award and was awarded the Humanitarian of the Year award from the American College of Nutrition in 2010. In 2015, Dr. Perlmutter was awarded both the Media Award from the American College of Nutrition and the Healthy Living Award from the Invisible Disabilities Association. Dr. Perlmutter is a three-time New York Times bestselling author, and his books have been published in 27 languages. His 2013 bestseller, Grain Brain: The Surprising Truth About Wheat, Carbs, and Sugar, has over one million copies in print. His most recent book, Brain Maker: The Power of Gut Microbes to Heal and Protect Your Brain—for Life, is also a New York Times bestseller, and his latest book, The Grain Brain Whole Life Plan, is scheduled to publish in November 2016.